If you work from home, you could qualify for a home-office deduction. Taking the deduction can be a bit complicated; so many people who qualify don’t claim the exemption. An estimated 26 million Americans have home offices, but only 3.4 million claim them on their tax return. Perhaps that’s why the Internal Revenue Service attempted to simplify the process in 2013. The write-off takes into account depreciation, utilities, insurance, the amount of square footage dedicated for office space, whether you host clients at your house and other factors. Because the parameters involved in filing a home-office exemption are rather complicated, it’s best to keep all business-related receipts, records of client meetings and other pertinent information to make things easier when you prepare your return. Damage to your home from an act of God or a theft or burglary may qualify you for an income tax exemption. To qualify for the write-off, the causality loss must meet the “sudden event test.” That means it must be sudden, unpredictable, have involved some natural force and occur in a single instance. To claim thefts and burglaries, you must be able to prove that a wrong doing has actually occurred. It can’t just be a case of a lost item that you suspect was stolen. Proof can come in the form of witness statements, police reports or newspaper accounts. Upgrading your home with energy efficient improvements can qualify you for a tax deduction. New roofs, insulation, windows, doors and a number of additional items qualify for the deduction. The deductions lets homeowners claim 10 percent of the total bill for energy efficient materials. The maximum credit is $500. New home owners should look at their settlement statement a bit closer. If the previous owner prepaid property taxes that cover any of the time you owned the home, you can include the prepaid taxes in your property tax deduction. Don’t pay more than you have to when you file your taxes each April. 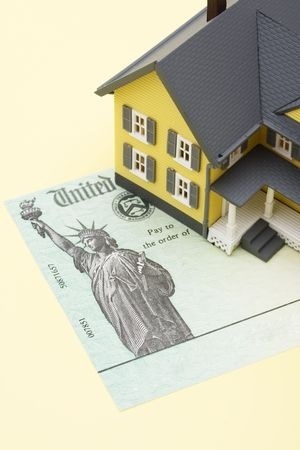 Consider these commonly overlooked deductions that can lessen the amount you have to pay.